Laurel Ridge is a beautiful active lifestyle neighborhood in Beverly Hills, Florida. A well-appointed clubhouse with plenty of indoor and outdoor amenities as well as a lush golf course offers a vibrant and socially engaging environment for all residents. This close-knit community that consists of 277 homes that provide a friendly and quiet setting. Residents gather in the community's clubhouse for physical activity and social recreation. A multi-purpose room is perfect for game nights, social functions, and events for all to enjoy. It can also be rented out for private parties. Other areas include an outdoor swimming pool and patio, which are ideal for relaxing in the Florida climate. Homeowners can also take advantage of the natural scenery by strolling through the neighborhood's beautiful walking and biking trails. Running through and around Laurel Ridge is the Twisted Oaks Golf Course where residents can pay-per-play or choose to purchase a membership. This lush 18-hole course also provides facilities that include a pro shop, chipping and putting areas, a driving range, and The Oaks Grill. Laurel Ridge was built by Rusaw Homes between 1992 and 2007. This community has 277 single-family homes which can be purchased on a resale-only basis. Homes offer approximately 2,000 to 3,198 square feet of living space with two or three bedrooms, two or three bathrooms, and an attached two-car garage. Some homes enjoy views of the golf course. Other features include open layouts, enclosed Florida rooms, eat-in kitchens, granite countertops, stainless steel appliances, laundry rooms, and spacious master suites. Laurel Ridge provides a low-maintenance lifestyle to all of its residents. A reasonable homeowners' association (HOA) fee includes landscaping and access to amenities. Thanks to the HOA, homeowners have more time to pursue new interests or hobbies. They can lounge poolside or mingle with neighbors at the clubhouse. Residents can play in golf tournaments or start new clubs with like-minded residents. The community provides plenty of options for socialization and activities, which includes a book exchange, garden club, karaoke, ladies hand and foot, fun bowling, lunch bunch, and men's pinochle club. Homeowners will never have a dull moment while living in this active environment. Laurel Ridge is located in Beverly Hills within Citrus County, FL. Just outside of the community's entrance residents will find a Winn-Dixie, Walgreens, bank, CVS Pharmacy, and a variety of restaurants and local shops. Route 41 is for getting around town quickly. There are also several parks and wildlife areas nearby for outdoor recreation. Golfers will love having multiple public and private courses in the area as well, which include Highland Hills Country Club, Brentwood Farms Golf Club, and World Woods Golf Club. Residents seeking additional shopping, entertainment, and attractions can visit Crystal River that's 20 minutes away or Ocala, which is 40 minutes away. 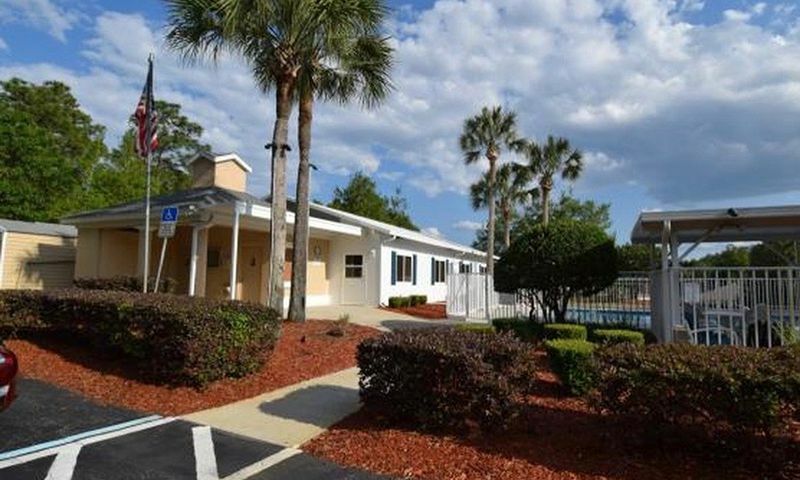 When traveling longer distances is necessary, Ocala International Airport is nearby. Laurel Ridge is the perfect low-maintenance community that has plenty to offer homebuyers in Citrus County, FL. Residents will also be able to utilize the amenities at the Twisted Oaks Country Club. There are plenty of activities available in Laurel Ridge. Here is a sample of some of the clubs, activities and classes offered here. Laurel Ridge was built by Rusaw Homes between 1992 and 2007. This age-targeted community has 277 single-family homes, which can be purchased on a resale-only basis. Homes offer approximately 2,000 to 3,198 square feet of living space with two or three bedrooms, two or three bathrooms, and an attached two-car garage. Some homes enjoy views of the golf course. Other features include open layouts, enclosed Florida rooms, eat-in kitchens, granite countertops, stainless steel appliances, laundry rooms, and spacious master suites. Please Note: Floor plans are not available at this time. I absolutely love living here. Quiet beautiful neighborhood surrounded by a wonderful golf course. People are friendly and kind. So many clubs to join and so many activities to participate in. This is not a 55 plus community we welcome everyone. I highly recommend when you were searching for a home search here first. I have no doubt you will fall in love with the area just like I did! 55places.com is not affiliated with the developer(s) or homeowners association of Laurel Ridge. The information you submit is distributed to a 55places.com Partner Agent, who is a licensed real estate agent. The information regarding Laurel Ridge has not been verified or approved by the developer or homeowners association. Please verify all information prior to purchasing. 55places.com is not responsible for any errors regarding the information displayed on this website.